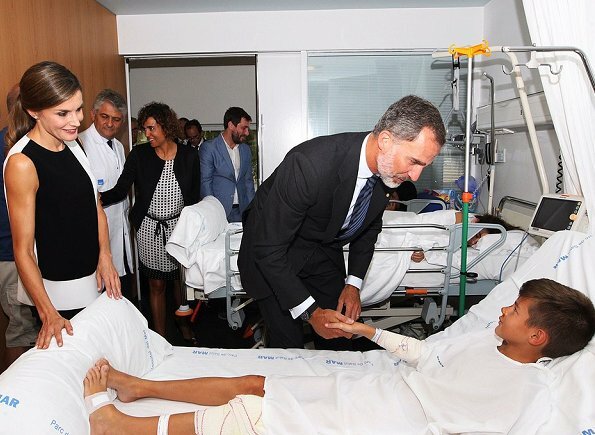 King Felipe and Queen Letizia of Spain visited Hospital del Mar and Hospital de la Santa Creu i Sant Pau for victims of the Barcelona attack on August 19, 2017, two days after a van ploughed into the crowd, killing 13 persons and injuring over 100. 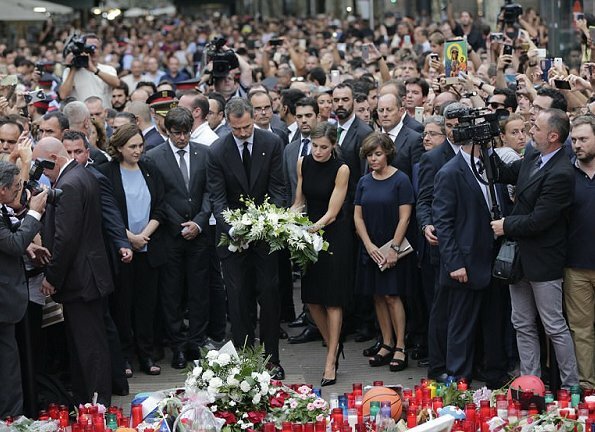 Drivers have ploughed on August 17, 2017 into pedestrians in two quick-succession, separate attacks in Barcelona and another popular Spanish seaside city, leaving 14 people dead and injuring more than 100 others. 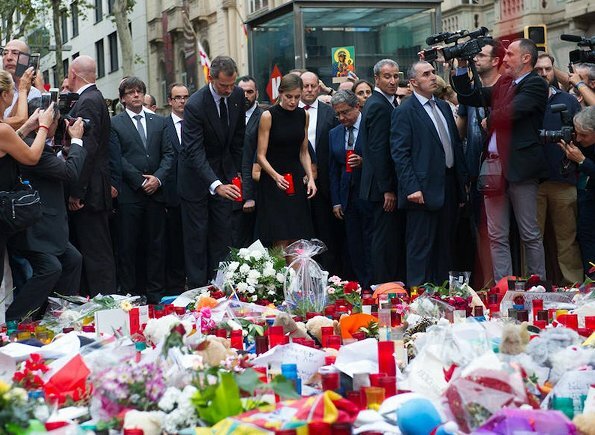 King Felipe and Queen Letizia of Spain lay a wreath of flowers for the victims of the Barcelona attack on Las Ramblas boulevard in Barcelona. My thoughts and prayers are with the victims and their families affected by the terror attacks in Barcelona and Åbo. There is too much hate and violence in world today. My deep sympathy to all victims and their families. Awful events recently. Here's hoping the injured recover as speedily as possible - what a terrifying experience. That little boy looks completely mesmerized by the King & Queen. I'm glad he is getting some new happy memories to help combat the horror of what he's experienced. my deepest condolences for the victims. heel erg voor de mensen , die om zijn gekomen. wat het geloof kan doen ,heel erg !! !